Cajun Style seafood. Gumbo, fried fish baskets, fried shrimp, crawfish boils and refreshing drinks. Casual dining and outdoor seating, Pets allowed! 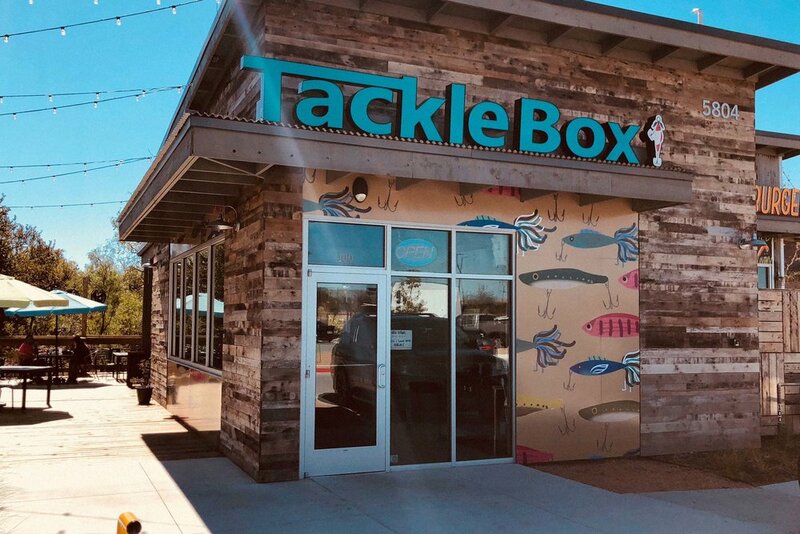 Welcome To Tackle Box Seafood! Not Just Any Seafood Shack! 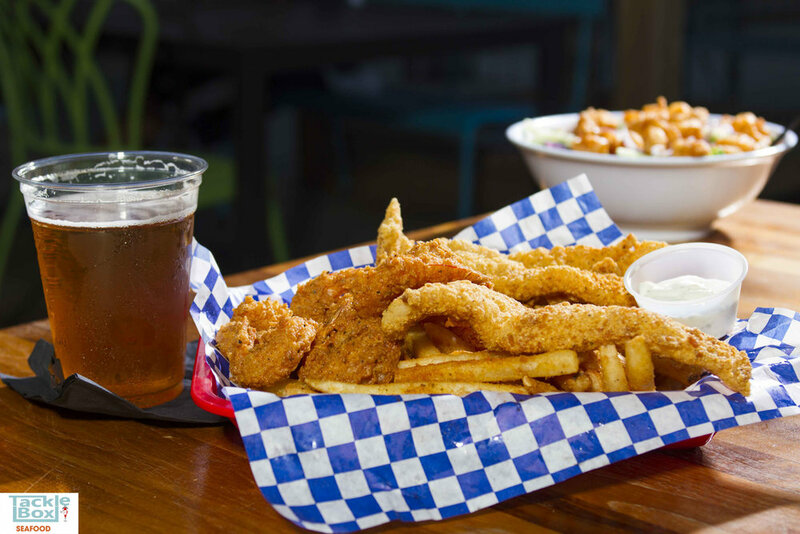 The Tackle Box serves up a variety of Cajun-style fare. 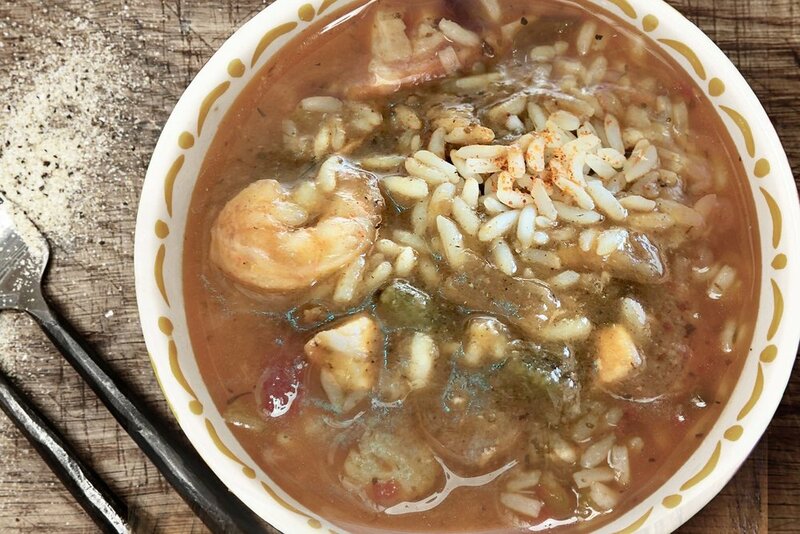 Our menu includes gumbo, shrimp baskets, cod fish baskets, shrimp boils and even crawfish boils, when in season. In the mood for our golden fried boudin balls or zesty firecracker shrimp? Enjoy our line-up of mouthwatering starters! Fried shrimp, romaine lettuce, tomatoes, cucumbers, black beans and red onions. 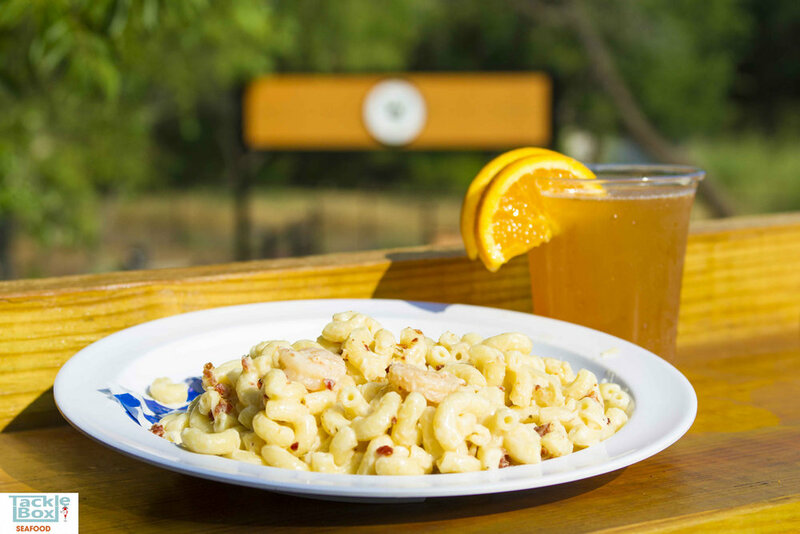 Are you craving our delicious shrimp and bacon mac n cheese? How about our scrumptious shrimp tacos? Check out these Tacklebox favorites. Sautéed shrimp, bacon crumbles, Gruyere, white cheddar and parmesan cheeses. 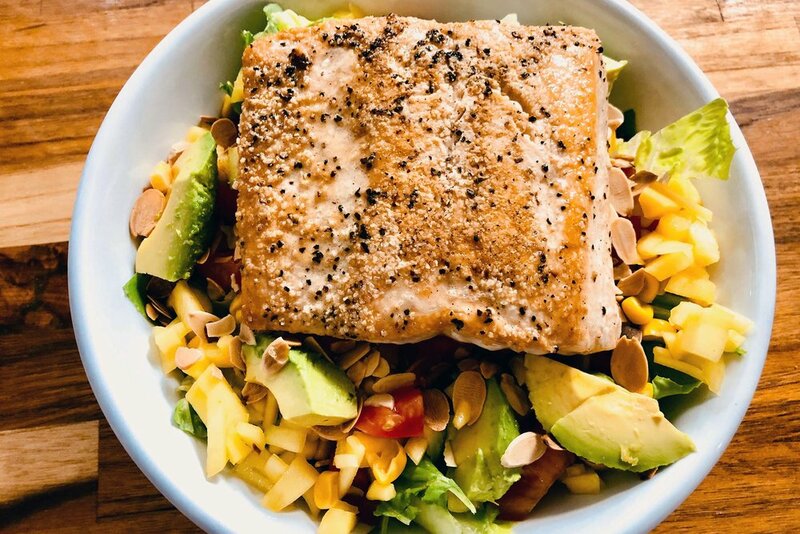 Grilled Salmon topped with mango pico de gallo and blackened shrimp. Served w/ fresh made mashed potatoes and corn on the cob. 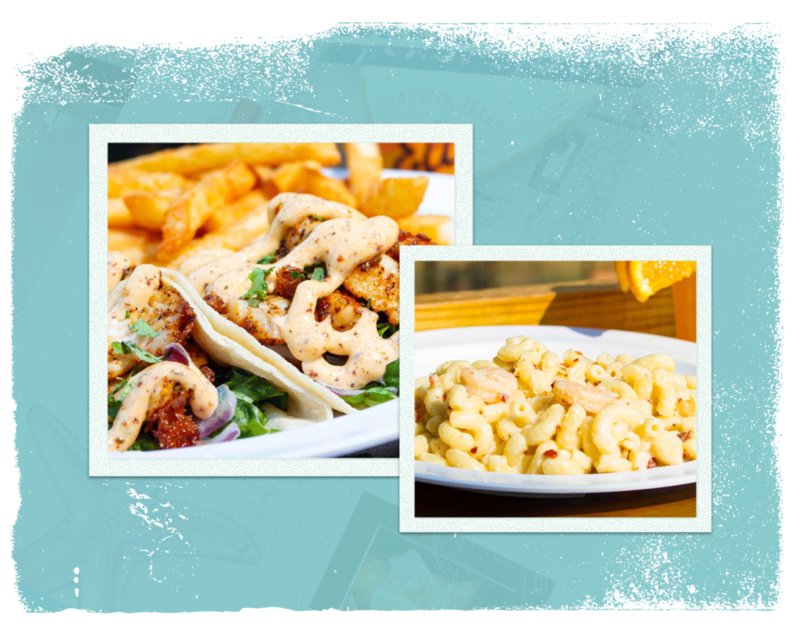 Choose: fried, grilled or blackened Two, served on a corn tortilla, lettuce, cilantro and onions and a creamy creole sauce. Choice of seasoned fries, sweet potato fries or sriracha cole slaw. 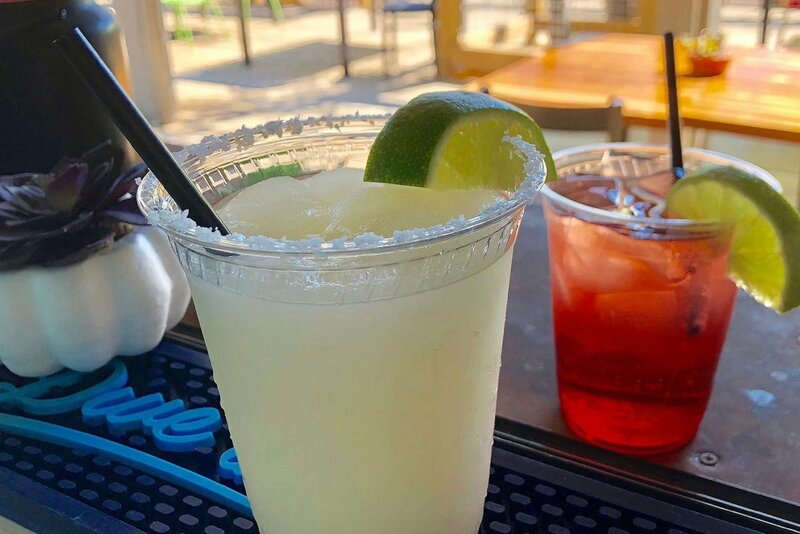 Plan your next event, birthday party or company happy hour at Tackle Box Seafood! Use the general contact form below to tell us more about your event/party!